ARE YOU FACING A DIVORCE AND DON’T KNOW HOW YOU ARE GOING TO BE ABLE TO AFFORD IT? Can’t afford to get Divorced? 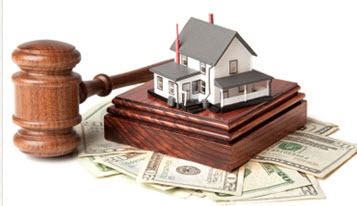 There are alternatives to the devastating costs of a traditional litigated divorce. Many people cannot afford to get divorced. There are three different ways to get divorced. The most common and costly is a litigated or contested divorce. One party commences a divorce action and each party retains separate counsel. Not only is this process stressful for the participants but extremely costly for each party. Most litigation attorneys require a large initial retainer up front when they are retained on a contested divorce matter and the retainer is not the entire price that the divorce will ultimately cost the parties. This is only the beginning step of what the attorney requires up front to cover the initial expenses of the divorce proceeding. Many parties can expend tens to hundreds of thousands of dollars on litigation and essentially give all of their hard-earned money and assets over to the attorneys to obtain a dissolution of their marriage. Most of middle class America who struggle to use two incomes to make one household, cannot afford the cost of their divorce, let alone creating two households or secure their financial future after the cost of a divorce. In addition, both parties must appear with their attorneys at every scheduled Court appearance. Further numerous Court appearances may be needed and as well as extensive discovery, depositions and ultimately testifying at a trial in open Court. There are two other processes that can be utilized by parties to obtain a divorce without destroying their financial futures and without the parties ever having to set foot in the Courthouse. They are not only more cost effective but a healthier way to get divorced for all involved. The fact is, to obtain a divorce costs money regardless of the method utilized. However, would the parties prefer to waste their time and money on long court appearances paying two attorneys for a day in court where nothing is actually accomplished; except getting a new court date to report back; or having their money work towards actually getting them divorced in a method that they truly have a say in the decisions affecting their lives, their family and their assets. The most affordable method is Mediation. So, what is Mediation? Mediation is where both parties are using a neutral third party, called a Mediator to help them facilitate an agreement that will serve as the contract between the parties resolving all issues that must be determined in a divorce action by the Court. The Mediator will educate them as to the law and various aspects of issues that must be addressed and help them come to an agreement that is customized to their situation and will serve as the contract that resolves all issues and is binding between the parties even after the divorce is obtained. The Mediator prepares this contract and makes sure it is executed properly. After the contract is signed, the Mediator will then be able to prepare all of the paperwork known as the Uncontested Divorce Packet, which is necessary for the Court to grant a Judgment of Divorce, all without the parties having to step into a Court room. Now, why is this the most cost effective? Well, simply speaking, when you enter into a Contested Divorce, each party is hiring a separate attorney which as previously stated, will require an initial retainer of thousands of dollars, which is just the beginning of the costs of bringing the matter to a conclusion and Judgment of Divorce. So, tens or hundreds of thousands of dollars could actually be spent on a litigation. Mediation many times, will cost less than it would have cost one party on their attorney’s fees in a litigated matter. Since a Mediator is a neutral party, they are not advocating for either party, but educate the parties and help them resolve and come to an agreement on all issues that must be determined in order to obtain a Judgment of Divorce. Collaborative Divorce is another alternative to litigation. Collaborative Divorce is not as cost efficient as Mediation. However, it is significantly cost efficient when compared with litigated divorces. You can think of it as a middle ground between Mediation and Litigation. So, what is Collaborative Divorce? Collaborative Divorce is a team approach. There are a team of professionals, who are specifically trained in the collaborative method. The team includes Attorneys, Financial Experts and Divorce Coaches as well as Mental Health Professionals which are available to the couple. These professionals help streamline the divorce process while assisting the clients to navigate through the divorce process. Each party is represented by their own attorney; however, both the attorneys for each party and the parties themselves, promise, agree and commit that this process is never going to see the inside of a Court room. This process may cost more than Mediation. However, for those who feel they need to have an attorney by their side, this is an ideal method to obtain a divorce without going through litigation and a fight through the Court system. The parties and their legal representative agree to be non-combative and objectively negotiate the terms of the divorce. They resolve all issues that must be resolved in order to obtain a Judgment of Divorce from the Court, which avoids a lot of the stress of litigation and you are not at the mercy of a Judge dictating the terms of your divorce. In essence, the parties, through their attorneys, craft their own customized agreement which will be a binding contract between them after the Judgment of Divorce is entered. Once again, the attorneys will prepare all the necessary documents that need to be submitted to the Court in order for the Court to grant a divorce. However, the parties themselves never need to step into a Court house in order to obtain the divorce. Although this process is more expensive than Mediation, it is still much less than the parties would expend on a contested litigation matter going through the Court system. Either of these processes will be more cost effective for the parties since the monies that would have been spent on a long drawn out litigation, can now be used to resolve their financial futures. Further, both of the above processes will ultimately obtain a divorce in a much shorter period of time than a litigated case going through the Court system.